HTC officially unveiled its new hero product last night, the One A9, joining the Taiwanese manufacturer's One family of devices and targeting the mid-range market. It was an opportunity for HTC to build some momentum heading into 2016, but instead of seizing the opportunity to truly talk up its latest offering, the livestream lasted no longer than 15 minutes and touched very briefly on the One A9 itself. As such, it feels like the opportunity has been missed. Nevertheless, let's look at what the One A9 has on offer. Firstly, the design, which many have said is an almost exact copy of the iPhone 6 and 6s. Indeed, the dimensions are eerily similar, and the two antenna lines running along the back don't help matters, but HTC says the One A9 hinges off of the design of its original One (review) smartphone, released in 2013. While this seems true, the flat back and curvature of its frame will no doubt draw comparisons to Apple's iPhone. The similarities don't end there, with the One A9 available in four distinct colours, all of which bare a striking resemblance to the iPhone 6s lineup. 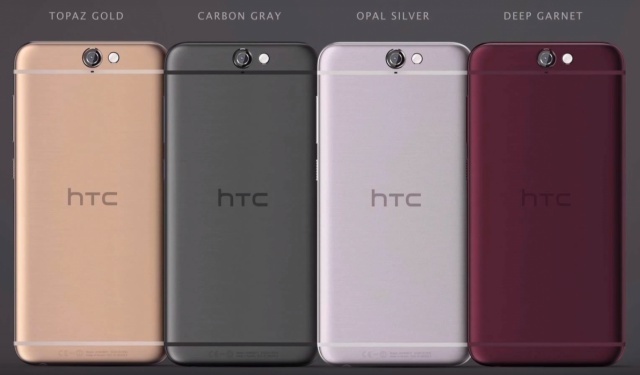 In HTC's defence however, the One M9 (review) lineup also sported four similar coloured back covers, when it was unveiled at MWC this year. For those worried its screen also measures 4.7", fret not, as the HTC One A9 sports a larger 5" (1080x1920) edge to edge Amoled display. Internally you'll find an octa-core Qualcomm Snapdragon 617, which is split between two quad-core chipsets, clocked at 1.5 GHz and 1.2 GHz respectively. Added to this is 3 GB of RAM and 32 GB of onboard storage, which sees the One A9 placed on the higher end of the mid-range spectrum. As such, despite dressing up like an iPhone for Halloween, the One A9 could turn out to be a very solid device for those unwilling to shell out R10K for a device. Before we jump the gun, let's talk through some of the other features. Last night, HTC dedicated a large chunk of its 15 minutes discussing its new camera, a 13 MP shooter that can capture RAW content and features a new Hyperlapse video editing mode. Up front, HTC has left a remnant of its ultrapixel days, although the exact specs of the front facing camera is not listed. HTC has also stuck with its penchant for sound, integrating a Dolby Audio with hi-res functionality speaker setup. Added to this is 2150 mAh battery which touts quick charge 2.0 technology. All in all, the One A9 looks like a pretty tidy performer, giving users all the elements they'd need in a multitasking mid-range smartphone. This is why it's a little strange that HTC did not unveil it with a little more pomp and circumstance. Whether or not the One A9 can deliver the momentum needed for HTC heading into 2016 should be interesting to see. 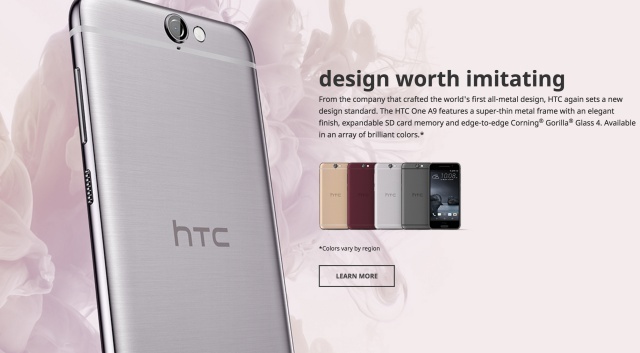 HTC will be distributing the One A9 globally during the first week of November, but a more precise date for South Africa is unconfirmed.